CryptoDaily Interviews My Friend in Crypto, Baz at Anarchapulco. Baz and I Go Back About 3 Years and When He Speaks I Listen. 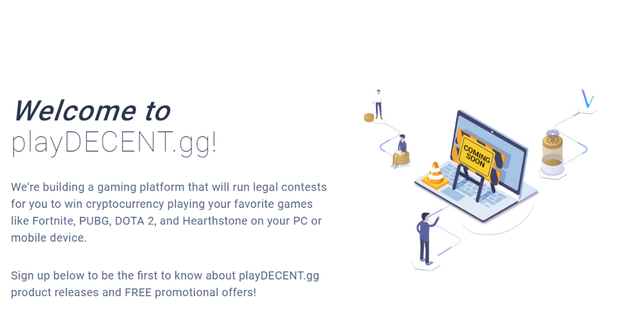 Decent.bet is one Crypto campaign that currently involves Baz, an interesting gambling platform that uses an open-source blockchain to allow anyone to build gambling based games, predictive markets and even casino rooms. This interview was at Anarchapulco in February. Since then the Decent.Bet team has had some big news. What?! Decent.Bet Just Dropped the Crypto Mic! Hints Fortnite, PUBG and Dota 2. Follow @CryptoDailyUK Here on Steemit. Well, you know the house always has an edge. The journey can be fun. At least in Crypto we see the transactions and see the fairness of the play. Does the game require a lot of capital? They have slots that you can play with as little as one DBET which are around $.05 right now. They are also going to be working with gaming and Peer 2 Peer wagering. Thank you @hilarski, I will check it out. The DBET gaming platform is under development, to get notifications when we launch, subscribe ..
Hi @hilarski, This is the message I got when I entered it, do I have to subscribe first? You received more than 200000 upvotes. Your next target is to reach 210000 upvotes.